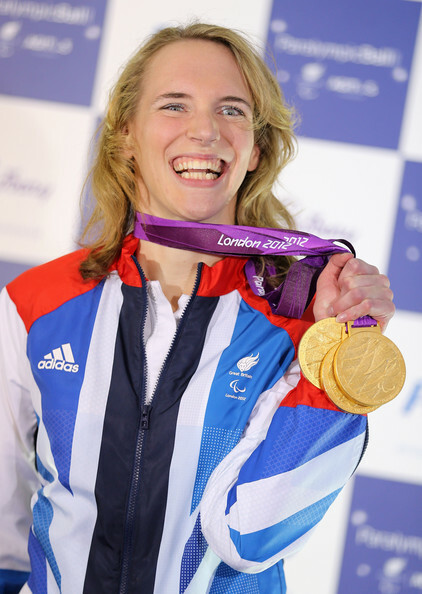 Sophie Christiansen is one of Great Britain’s most successful Paralympic athletes having competed at three consecutive Paralympic Games and winning medals at all three. Having first competed in the Games at only 16 years old, she went on to win a whole host of Championships including European and World titles. 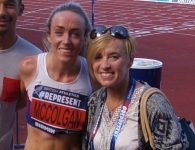 On top of her sporting achievements, she was awarded an MBE (Member of the Order of the British Empire) in 2009 and an OBE (Officer of the Order of the British Empire) after her incredible performances at her home Paralympic Games in London 2012. Sophie recently contacted the FCN to raise awareness of the issues she experienced and why she thinks her squad doubted that her female coach was able to cope with her coaching commitments alongside having a new child. The FCN chatted to Sophie as she revealed some of the criticism she experienced and how important it was to win those recent 3 European Gold medals with her new coach Linsay. In your experience, are there many female coaches working within equestrian? Equestrian is quite an interesting sport because men and women compete against each other. It’s not about strength or physical shape, it’s about how the horse performs. So I think it’s quite a cool sport to work in because of that reason as there aren’t many sports were male and female athletes are on an equal playing field. In terms of the make up of genders that ride, again I think it’s quite interesting because there tends to be more girls that ride than boys (because every little girl wants a pony and every boy wants a car! 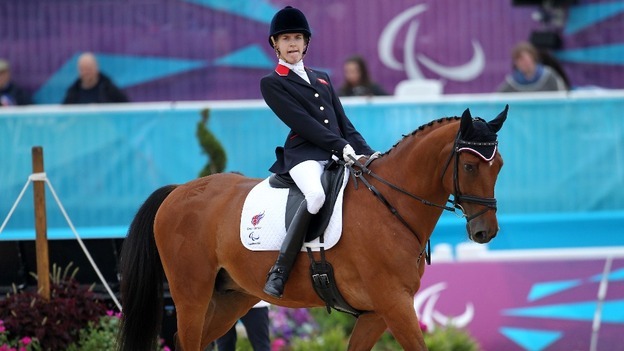 )…but actually this flips at the higher level and tilts more towards male success at the elite level at able bodied equestrian and in Paralympics dressage is actually more female dominated. But the coaching is male dominated and I could probably name more top male trainers than I can female…I’m not quite sure why that is. Have you worked with both male and female coaches in the past? Yes, my pervious trainer was male and I worked with him for 15 years. I had a very good working relationship with him and it was quite different to having a female coach as I do now. I think the dynamics of having a male or female coach are very different, but that might be because of character and personality rather than gender. My old coach Clive was very intense, especially towards the end. I am a lot more disabled than most riders, so I needed a coach that was more than a coach. Clive used to warm my horses up for me, coach me and effectively be my taxi driver and mentor, so we were quite close, but we always kept it professional. However, with my new coach Linsay she really brought the fun back to my sport for me. You can imagine at the highest level it gets really intense when you are always expected to win and with Linsay my relationship is more friendly; however she also knows when I need a telling off and when to be serious! But I think I really need that fun approach now. Do you think that’s because you are now older and more experienced? Would the fun approach have worked when you were younger? That is an interesting question…because fun is why you do sport, but when you need results it does need to intensify. However you do need to keep that fun element and I think I had lost it a bit with Clive, so having a fresh pair of eyes really helped. And do you think Linsay being a female helped you to be a little more relaxed, as you were able to be more yourself being of the same gender? I was always quite friendly with Clive, but I have a different dynamic with Linsay. We do get on better and we have a laugh but without dumbing down how serious everything is. Now with your breadth of experience, do you ever look at a trainer or a coach and have a preference as to their gender or is it just not something that occurs to you? In my sport – I really don’t look at it like that. Gender only occurred to me now that I do have a female coach. We have had quite a lot of difficulties because she is female which I don’t think has been fair at all. What have been the difficulties? Has it been because of her gender? Yes. People didn’t take her seriously and questioned whether she could coach as she has a young child. I think because I am now older, I recognise the qualities I need in a coach and she has them all. I could see that her having a baby wouldn’t be a problem at all, but men higher up in the sport – saw it as a problem. Winning the 3 gold medals with Linsay as my coach because we showed them all we could do it! I was really really proud this year of what we achieved. What were the reason other people doubted Linsay’s ability to be able to coach you? Let me give you a background…Linsay started coaching me in March 2015 just after she had her baby. I worked with my old coach Clive for 13 years from when I was 13 up until last year and he took me through 3 Paralympic Games. I started looking for new coaches [in 2014], which was quite difficult for me because I had had that one person all my life and I hadn’t really build up a network in my area. I started looking at the end of 2014 and I met with Linsay whilst she was pregnant with her first child. She gave birth to William in January 2015 and it took her a couple of months to get riding fit again (because I need her to ride my horses). Linsay started working with me in March this year and together we have trained a new horse up to being European Champion last month. It all happened really quickly and I am really proud of her! That’s an awful lot of pressure on you and her because so many were doubting you both…where people saying that you had make a mistake by hiring her and she wouldn’t be able to coach you because of her baby? Yes! I am a bit worried about saying this, but I want people to know it happened! Obviously I have to answer to the squad and my support team, but they were saying ‘we’re not sure that she can cope with the baby’. They had their reasons because they said as she had to come away with me to competitions, her baby might have distracted her and what would happen if the baby was ill? Obviously she would go to him rather than me quite understandably. However, what I didn’t like was that they didn’t trust my judgement in believing that she could cope. They kept throwing the ‘young child’ back in my face and I kept repeating ‘I know what I need and OK it will be a bit tough with William, but we can deal with it’…and we did! Did that extra pressure affect you, because you knew you both had to ‘prove’ yourselves to everyone that doubted you? Oh yeah, it did! Especially at the start when I didn’t know if my intuition was correct, so that’s what I mean when I say the 3 gold medals [at the European’s] was really special! All of us showed them that we could do it and William was there at the Europeans as my little mascot! So now you have had that success, does this give you a lot of confidence building up to Rio and working with Linsay? Yes, now no one can say I made the wrong decision and I think it really does a lot for both of our confidences. When you go to Rio, you’re going to have to be out there for quite a few weeks, will Linsay be going out with you for the same length of time? Yes. What we have been doing up until now is that Linsay’s Mum comes out with William at the same time so that she can look after William. Then when we have down time, Linsay can still go and see her son and that works out really well. Thats sounds like a perfect arrangement as Linsay can then focus on you knowing that William isn’t too far away. Yes, I have a new horse that I knew Linsay would be good at riding. That was also why I needed a new trainer because my old one had quite an aggressive approach to riding which suits some horses but not all. Athene, my new horse, needs more of a gentle approach so I knew that my coach would need to change. I actually think that having a female coach to ride a mare works because they have the same mentality…does that sound really odd?! So you have to consider not only how you would work with a coach, but also how your horse does? Is coaching / training something you would be interested in after retiring from competing? I do enjoy doing the occasional lesson, but I actually went to University and have a part time job at Goldman Sachs, which is in technology and is quite a male orientated career. That has been my plan all along to have a job that would be a back up from when I retired and also we don’t have that much funding [in dressage] so I have to work as well. Do you think working in that male dominated environment has given you more confidence to stand up for yourself when people in your sport questioned your decisions? To be honest I think I have always stood up for myself and I will always push for what I think is right. I bet you get some respect at your job with all your gold medals! Well technology is mostly full of geeks so most don’t understand the value of sport! 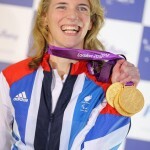 I also want to earn respect because I am good at my job, rather than because I am a Paralympic champion.